We recently came up with an idea to create a ‘morning after’ survival kit, to help conference attendees recover from a team-building event the night before. So there were SUPER C sweets (to replenish the vitamins lost) and Orbit chewing gum (to help them stick with the programme) and it got me thinking that if there was an entrepreneur survival kit, what kind of things would I want in it? Definitely the ability to have a good cry and recover quickly, together with a good sense of humour for those un-funny moments, when all you want to do is have a good cry. An endless supply of tenacity with some faith that disregards all the hard evidence. The resilience to see every NO as an opportunity to have an interesting conversation and the determination to succeed so much so, that we never take rejection personally. With the gumption to be fearless, confident, pitch-perfect and not scared of public speaking. And to have the love and support of your tribe, whomever they may be. 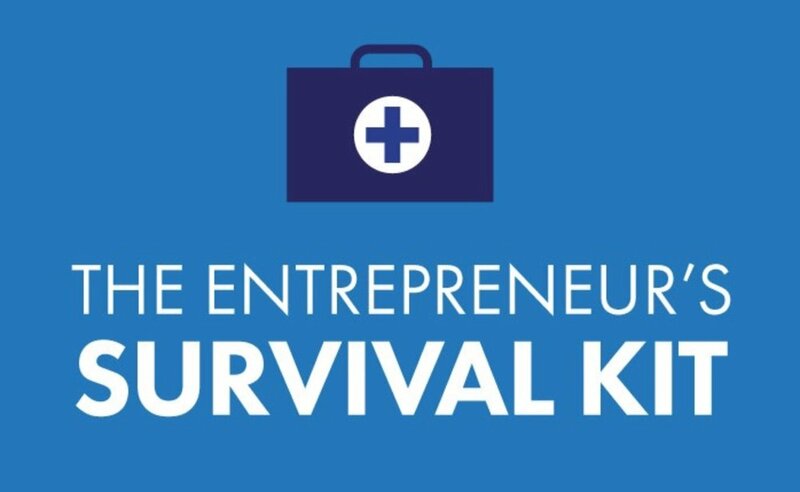 Then there are the more practical survival tools like knowing your numbers, putting replicable business processes in place, having a sales, business and marketing strategy. Using, not just having employment contracts and documenting everything; having proper HR policies and procedures; knowing your value proposition and target market; and I could go on and on and on. No one said the journey was going to be easy, but it is definitely rewarding. Instead of fearing failure, let’s start seeing it as proof that we had the courage to try! We too can experience what so many entrepreneurs before us have shared, that their failures prepared them for their successes. So, in your moments of ‘why did I become an entrepreneur’, find your inner survival kit because everything you need you already have within. Jump and the net will appear! Tania Reid is the founder and chief experience officer of ithemba Office Solutions based in South Africa, and has over 17 years of sales experience in office automation, stationery and consumables. She is known for her honesty, excellent customer care skills and that she runs her life and business with integrity. Tania is a big believer in “When you are Blessed, you Bless others”. She won the opportunity to go to Australia to represent the Branson Centre of Entrepreneurship by joining serial entrepreneur, Creel Price on the Ultimate Growth Adventure Bootcamp and pitched her business to James Caan of Dragons Den fame. So twice a month she shares her entrepreneurial journey with recovering addicts of the Phela Give Back organization at the Booysens LDAC Wellness Centre and also contributes monthly to events held for the aged at the Kensington Old Age Home, Cape Town which is also her hometown. Read Tania's startup story here.